Much has been made, and rightfully so, about the ridiculous situation involving Justice League, Henry Cavill, and his now very infamous mustache. 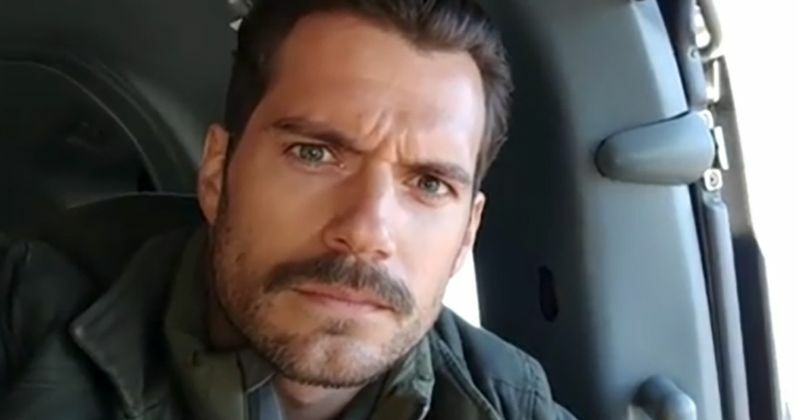 The actor had grown the impressive lip hair for Mission: Impossible - Fallout and, whilst filming was happening on that movie, Warner Bros. needed him back as Superman, who absolutely does not have a mustache, for reshoots on Justice League. Ultimately, they had to spend millions of dollars to CGI the mustache away, which ended up looking terrible. Now, director Christopher McQuarrie reveals what really happened behind the scenes with this whole situation. Christopher McQuarrie served as writer and director of Mission: Impossible - Fallout. He recently appeared on the Empire Film podcast and the subject of Henry Cavill and his mustache came up. Lucky for us, McQuarrie did a deep dive on the topic and the story is gloriously ridiculous. Here's what the filmmaker had to say about it. "When the question came, the reshoots for Justice League came out, [Charles] Roven called me, and he said, 'We need your help and we need to shave Henry's mustache. We need him to come back and we need to do these reshoots.' And I said, 'Look, Chuck, naturally I want to do everything I can to help you, but I also have to think about our production. Let me talk to everybody and figure out what the scheduling would be.' And I went and spoke to [Mission: Impossible-Fallout producer] Jake Myers, and the suggestion was made through channels that we shave the mustache and Henry could begin to grow the mustache back and that then there would be, they would give us the resources to digitally fill in Henry's mustache. Because like it or not, a fake mustache in close-up on a 75mm lens is never going to look like anything but a fake mustache." Indeed, it was a sort of a silly thing to be causing such a big problem, but when one character has a mustache and the other doesn't and there are two rival studios with big budget movies to worry about, everything is a big deal. Christopher McQuarrie goes on to reveal they offered up a compromise that would have made everyone happy. However, the folks at Paramount, who were behind MI:6, stepped in and blocked the whole thing. "So, we offered the following compromise: Jake Myers calculated the amount of money that it would take to replace the number of shots, and essentially what Jake was able to project was about a $3 million visual effects budget. We said, here's what we'll do: give us the $3 million and we'll shut down, and that will give Henry Cavill the time to grow his mustache back, and we'll just shut our movie down. We said we'll do this, at which point, somebody from Paramount Pictures said, 'What is going on? What are you people even talking about?' They're like, 'There's no way we're going to do that.' We were just like, 'Okay.' That was the best plan that we could come up with." And thus, the terribly Superman CGI mouth was born. In fairness, Justice League has its fair share of problems that go far beyond some ugly digital effects on Henry Cavill's mouth, but this certainly didn't help matters any. At least we know it wasn't Christopher McQuarrie being a jerk about the whole thing. It sounds very much like he did his best to make everyone happy. This news comes to us courtesy of Empire.